Welcome to our blog! Here I bring you stories from our pack, which is comprised of myself (lead activity planner), Ty (Heathen Dingo of the North), Tango (the “old soul”), and Erick (supportive husband). Paws on Peaks is all about experiencing nature with dogs. We love to hike in the White Mountains of New Hampshire, relish our weekend romps around town near our home on New Hampshire's Seacoast, and dabblers in many things "dog." We’ll be sharing our adventures here, hopefully to the benefit of fellow adventurous dog owners. Ty is my little peakbagger and Tango is a relaxed front porch greeter so my job as mamma has been to find adventures that satisfy them both. My hope is that these experiences are helpful to others. Nature is astounding and overwhelmingly beautiful to me and incomparable to any other experience when I’m with my dogs. 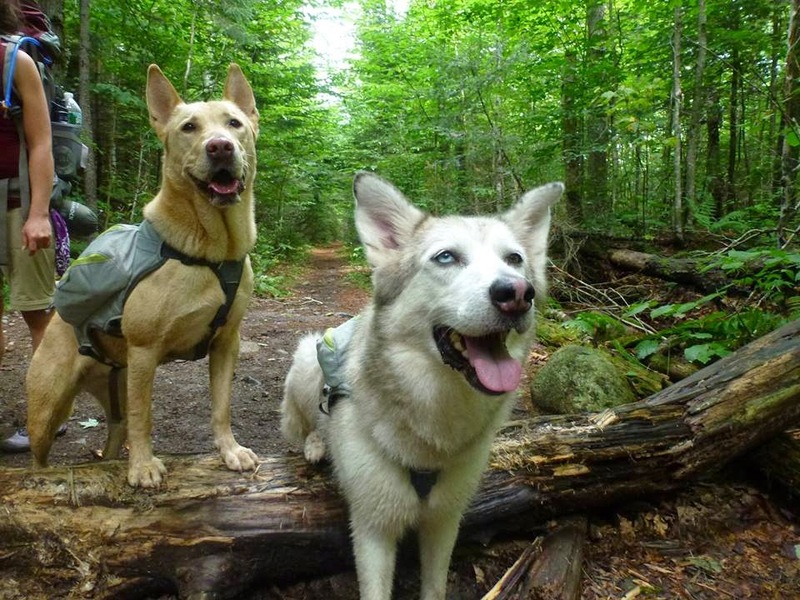 For new relationships, older dogs, etc., sometimes getting off the asphalt path can be intimidating but with the right research, gear, and fitting the activity to the hikers' abilities and interests, everyone is capable of embracing the outdoors. Because I firmly believe in the experience-enhancing powers of the right gear, you’ll find a bit about packs, multi-function leashes, travel dog beds, etc. here too. If you’re looking for feedback on possible places to explore or gear to purchase, are hoping to experience the mountains vicariously through us, or are just beginning to go adventuring and find the words of others helpful, Tybtangs and I just may be able to help! Thanks for reading this far and happy trails! Hi. I just found your website and love it. Any chance you have suggestions on beginner backpacking routes to take with dogs? I also just found your website, way better than some of the books out there on dog hikes. Any suggestions on how to implement trail manners? I have a 15 month nervous labradoodle who absolutely loves to be outside in the woods but gets over stimulated fast when seeing people!